This week has been long in both good ways and bad. It has been a lot of work, late nights, meetings, and well I feel a little drug out. So much has gotten done this week. Lots of great work went up in the portfolio and I couldn’t be happier with things lately, but with hard work comes being tired and that I am right now my friends. This is not me complaining, just giving reality. I love what I do 100% and more but some times a little silent alone time feels better than even creating every day does. This weekend is Blog Brunch, which means you all should come to the meetup on twitter and talk all about the Basics of Blog Design. I will be writing all this month on the blog there about tips and tricks, which is kind a new thing to me so bare with me. 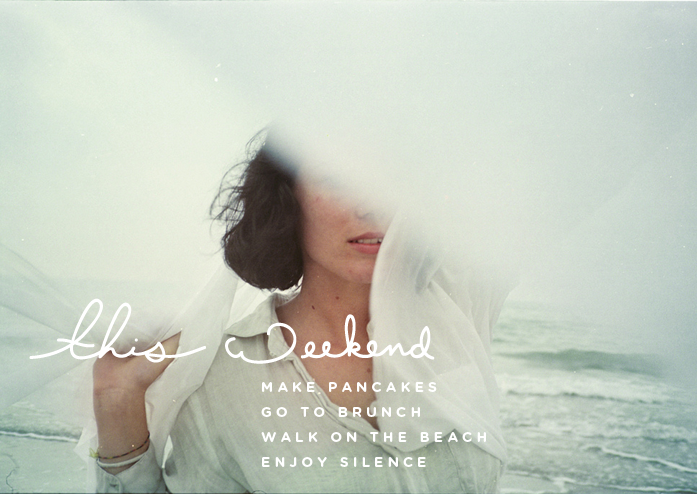 I will be eating pancakes during brunch covered in blueberries while drinking some espresso. But after everything is done I plan to spend Easter with no computer, no work, and just slip away into some much needed quiet. I plan on hiking along the beach and listening to the sounds of Spring. What kind of plans do you have this weekend? As it is a holiday I am sure many are traveling. Be safe my friends! Can’t wait for your tips and tricks! Your blog is looking extra spiffy by the way, I love the changes you’ve made!